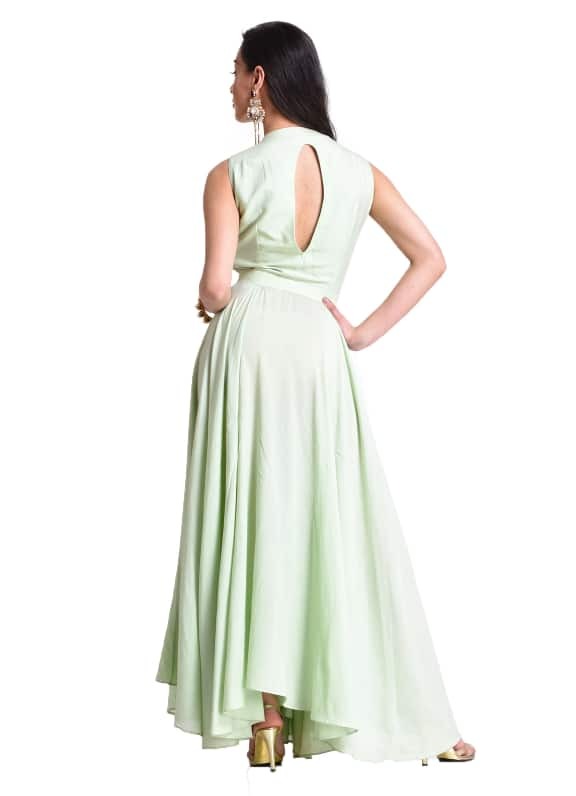 This mint-green anarkali is adorned with cutdana, sequin and beadwork on the bodice, and features a triangle cutout on the front. This young and flirty outfit is the perfect pick for spring weddings. Add a glamourous touch with a gold clutch, drop earrings and a chunky bangle.